About 20 to 30 villagers, most from an extended Muslim family in the village, gathered outside the church and began pelting it with rocks and smashing windows. Eventually the mob threw Molotov cocktail-type explosives at the building, trying to set it ablaze but only starting small fires. They then pushed their way into the building through a hole they had knocked in a wall. Once inside, the Muslims were able to destroy icons, crosses and enough of the support structure of the church’s dome that part of the dome collapsed. The attack lasted for several hours, ebbed away at night and then started again at noon the next day. The assailants tried to set fire to the church building again during Saturday’s assault (Feb. 16), but a water storage unit on the roof of the structure, weakened in the attack, burst open and doused the flames, according to witnesses. Four people, including a priest, suffered minor injuries from stones the mob hurled. The attack was the culmination of a strange incident in which a Muslim who lived in a house that shared a wall with the church made a hole in the wall so he could spy on the Christians, according to clergy members with close ties to the church. Members of the congregation discovered the hole about three months ago. The Muslim, his family and a handful of villagers began a campaign of intimidation against the church, claiming it was against Islamic law for a church building to exist next to a Muslim residence. The church offered to buy the man’s house, but in a “reconciliation meeting” common in Egypt ostensibly to resolve such disputes, the Muslim refused any other solution than the congregation abandoning the building or a part of it. The priest was forced to sign a document stating he would not expand the church building. No action was taken against the man who opened the hole in the church’s wall. In the reconciliation meeting, government officials told church officials not to do anything about the hole, which by the time of the attack had been opened up to a square meter, church leaders said. The first attack happened in plain sight of the police, who did nothing to stop the assault. But on the second day police detained some of the villagers. A priest close to the situation said an influential Salafi Muslim who seeks the destruction of the church building is either pressuring the Muslim neighbor or luring him into fighting the congregation. This information, however, could not be independently confirmed. Local residents say the Muslim moved into the house that abuts the church about 10 years ago. The Church of Mar Girgis was built sometime in the ’80s. Originally a mud-brick structure, it was rebuilt with modern bricks except for the wall that was breached. The church was undergoing another set of renovations when the Muslim started spying on the congregation. The building was the center of worship life for about 180 Coptic Orthodox families that live in Sersna village, which is part of Tamiyyah, which in turn is part of greater Fayoum city. The church member, whose identity is withheld for security reasons, said the attack was expected. 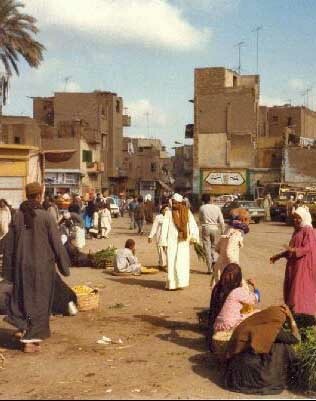 Since the Jan. 25-Feb. 11, 2011 revolution in Egypt, tensions have increased in the area with certain Muslims in the community. Ten youths have been manning shifts at the church building every night to dissuade attacks. Friday’s attack happened before the teenagers were at their post. It was the second attack in a little over a month against Coptic Christians in Fayoum Province. On Jan. 15 hundreds of Muslims attacked a community center in Fanous village that was under construction with permits by a Coptic charity. Local Muslims accused the society of building a church, and after local mosque leaders emitted calls through megaphones to defend Islam, a crowd gathered, surrounded the building and pulled it to the ground. No one was arrested in connection with the attack.